If you’ve got a planted tank, you can face one or two issues (to say the least), especially in the startup days. You might have also been running your tank for months or even years and have seen a gradual decrease in plant growth yet an increase in algae and you’re just not sure why. You could have received lots of advice from elsewhere and you’re just rather confused by what is the appropriate steps - this isn't uncommon and you are not alone. 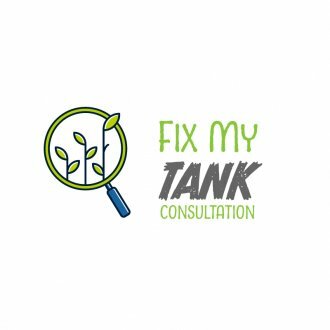 This consultation is a chance to fix your tank and put you on the right road to success. We’ll advise you where you have gone wrong and what you need to change to make it right. Sometimes these changes are easy (like extra water changes or reducing lighting) or sometimes there will be many things you need to do. Whatever the reasons are, we’ll give the correct information which will turn your tank around so your plants start growing again and looking like nature intended. Once you’ve made this purchase, you’ll receive an email with a list of questions so look out for it. You may need to check your SPAM folder in case it's gone there. You’ll be asked to fill this in and then send through pictures of your current set up just so we can see what your tank looks like. It always helps to diagnose with a picture as you can probably imagine. Once you’ve received your email and filled it out with all the answers, Richard will provide the diagnosis within 3 working days. You’ll then receive an email with what you need to do and the changes which are required. You may need further equipment to make this happen so bear this in mind but either way, you will be advised what you need and why it's important. But when you pay for something, it’s often a different result. You’ll treat this advice seriously (because it's cost you) and you’re also getting a 1:1 which is what makes the difference. Time is valuable and spending it wisely is always the best option. Shortly after the advice is given you’ll receive a follow-up call (Monday - Friday and time will be agreed) where you have the chance to discuss the advice and chat about anything else regarding your tank. Be prepared for this call and write down any questions you might still have. The beautiful thing about this concept is you get advice from Richard who is a market leading expert in planted aquariums, and there’s no question he cannot answer. With 20+ years of experience behind him and dealing with thousands of customers, the investment you are making with this consultation is invaluable. With the right advice and an actionable plan, your planted tank will improve and we’re sure you’ll be delighted with the end result. Easily the best value £30 I've spent on my aquarium. Richard provided clear answers and guidance on how to implement them. The results are even better than I'd hoped and the support is invaluable. My tank is healthier than ever and looks better than I'd thought was achievable. This is an outstanding product and in the long term will save a lot of wasted money, time and effort. Excellent value - Richard sent me a questionnaire which I completed and he then sent me an extremely detailed email with suggestions followed up by a long telephone conversation. Also good is the fact that it doesn't end there, he provides ongoing support as well. I can't praise this consultation enough. If only there had been something like this years ago when I first started my fishtank hobby. It would have saved so much time and money :) Thank you Richard!